ICTO 2019 is the fifth version of ICTO international conference that attracts multidisciplinary contributions on information systems from the areas of organization, management, marketing, human resources, accounting, and supply chain mainly submitted by international scholars. 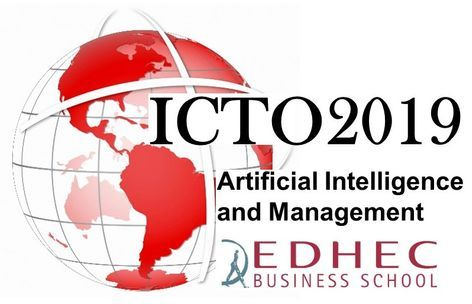 ICTO2019 is characterized by its friendly atmosphere that offers scholars the opportunity for high quality discussion and feedback, valuable networking opportunities both within the academic community and the international IS Community. These questions can de addressed both in private and public sector either national or international e.g. though development policies, in industry and services. We are also interested in how AI impacts society through sustainable development and social responsibility. We invite submissions in all areas of IS and organizations especially innovative, interesting and rigorously developed conceptual and empirical contributions.